October Half Term clubs and activities in and around Newton Mearns and Clarkston. October week is fast approaching, and that means that if you’re a parent you may be looking for childcare or fun activities for the family to take advantage of. There are some great options locally to not only help you with childcare but give your children a taste of different activities and sports. This is a popular camp suitable for children aged 5 to 12. They will enjoy a lively mix of sports and sports based games including dodgeball, football, badminton, tennis, rugby and athletics. Children will receive lunch and it is located in the sports hall at Eastwood High School. On the final day the children enjoy an Olympic games. The camp runs from 10am to 3pm, with no option of longer hours. The price for the whole week is £72 per child (there is a discount for a sibling attending the same week). The camp takes place at both Eastwood and Barrhead High Schools. 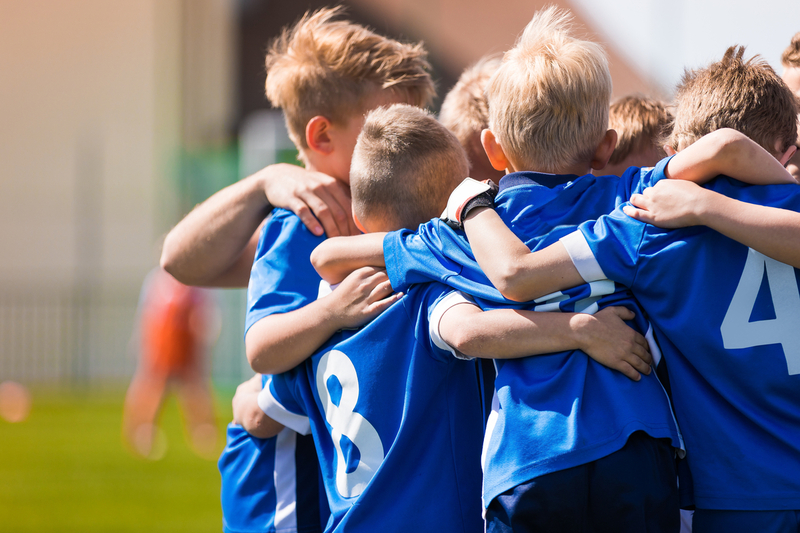 There are several options for those interested in Football but these are just for a few hours at a time rather than full day camps, which may not be suitable for working parents. Choose from Mini Kickers, ERSDA Football Camp and Come and Play Football all run camps at St. Clare’s Primary School and Pro Soccer in Rouken Glen. These are for a few hours either in the morning or afternoon. Prices start at £6.75 per session or £22.50 for the week with a concession price available. Take your children along to some craft sessions at the library. The events are free and can be booked through your local library. Prices start from £129 per child for the full week, £175 for non-members. Contact David Lloyd and book. Oscars is a multi sports holiday club located within Hutchesons’ Grammar School, Pollokshaws. The camp is designed to provide nonstop activity and fun from the start to the end of the day. Children, who can attend from any school, are divided into age groups of 5 – 7y, 8 – 10y and 11+. Each group participates in 4, 5 or 6 activities daily each for between 60 and 90 minutes depending on the activity. Each group follows its own timetable, which includes a diverse activity list, but occasionally the groups may join together for very specific controlled suitable activities. The activities are varied and include art, athletics, arts and crafts, sports, games, dance, drama, football, food fun, golf, tennis, swimming and even ultimate Frisbee! The last day of the camp is themed and structured around large group games and tournaments which take place culminating in ‘It’s a Knockout’ and the OSCARS awards ceremony. Children also have the opportunity to go on local excursions. The weekly full day ticket is £189 but children can attend on single days for £35-£55 per day. The National Trust for Scotland has a whole host of events to enjoy – more locally you can enjoy the Wild Woodland Bonanza at Greenbank Garden, Newton Mearns. You can also enjoy family fun at Eastwood Theatre, play tennis for free at Cowan Park, take part in Cycling Saturdays in Neilston. Find out more about these and other events.